You must be 18 + and have a valid ID or Passport if you would like to set an appointment. 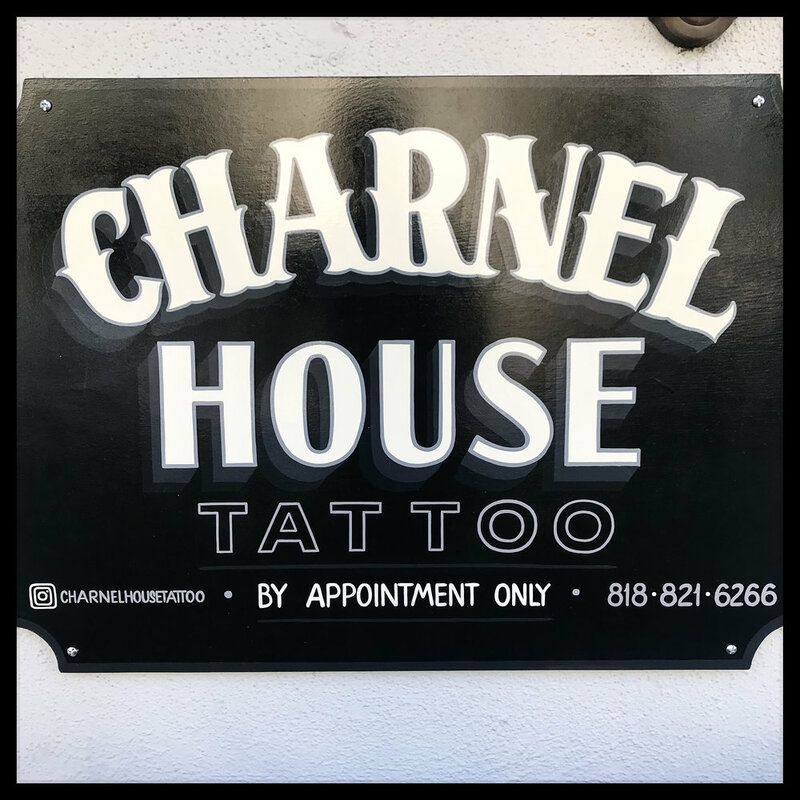 Charnel House Tattoo was opened in October of 2017 in Toluca Lake , CA by owner and artist Dillon Eaves. Nestled amongst the movie and televisions Studios of Burbank/ North Hollywood you’ll find the shop. It’s lit by natural daylight and has a cozy welcoming atmosphere with a grim minimalistic aesthetic. 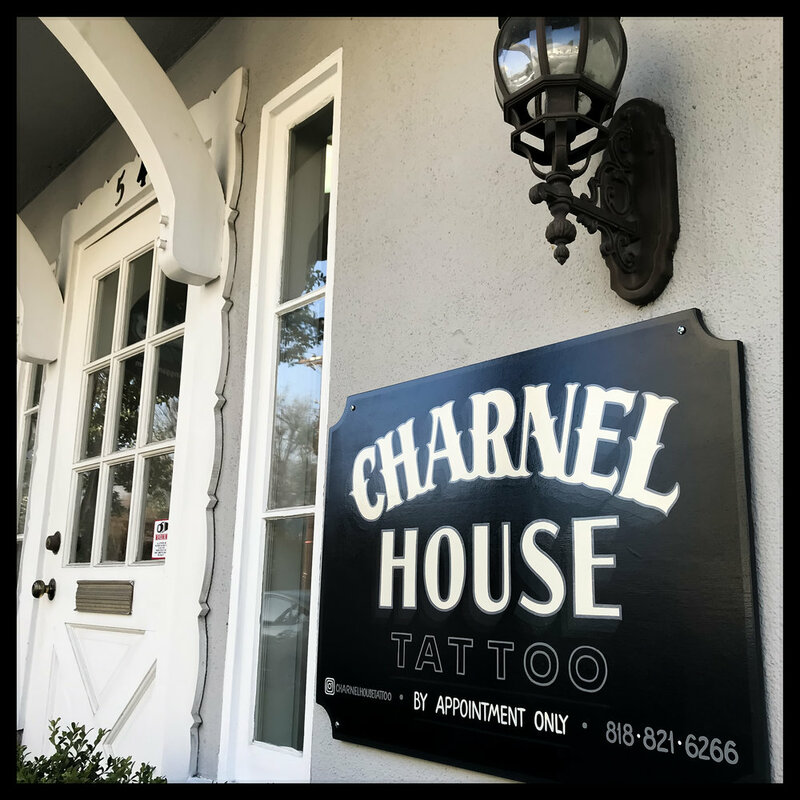 Charnel House is an appointment only tattoo studio which creates an intimate and comfortable experience for clientele. The studio is licensed with the state of California's Body Art Program and all artists are BBP and CPR certified. Surrounded by great restaurants, coffee shops, and stores within walking distance there is no shortage of things to do before or after your appointment.